Ho'oponopono Ring, narrow style, in recycled 14K gold, made to order in NY, NY. This Ho'oponopono Ring measures approximately 5mm in width and 1.5mm in thickness. Each ring is cast and hand finished in NYC and is USA made. The 14K gold is a minimum of 78% recycled metal. 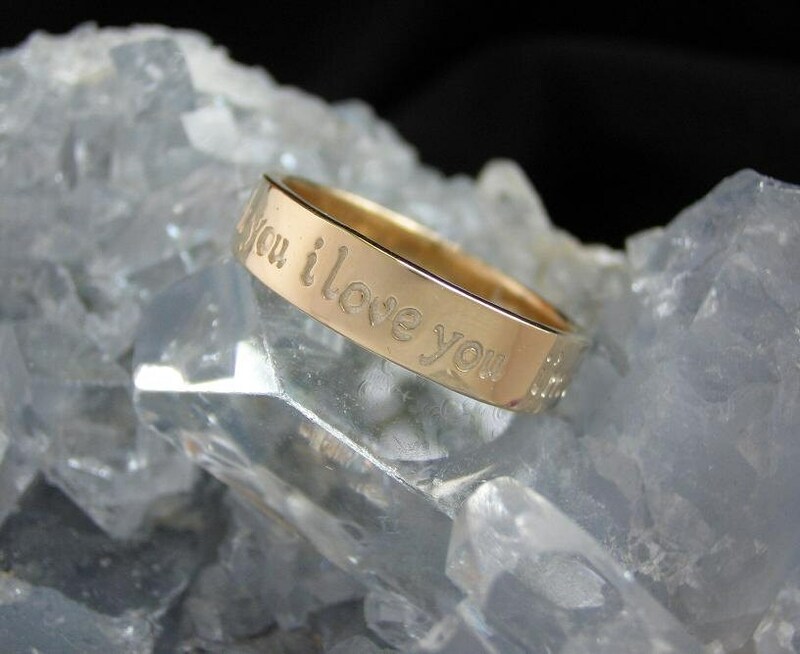 The ho'oponopono ring contains the 4 phrases used in ho'oponopono, "I love you, I'm sorry, please forgive me, thank you," encircling the ring to remind the wearer to practice cleaning throughout the day.